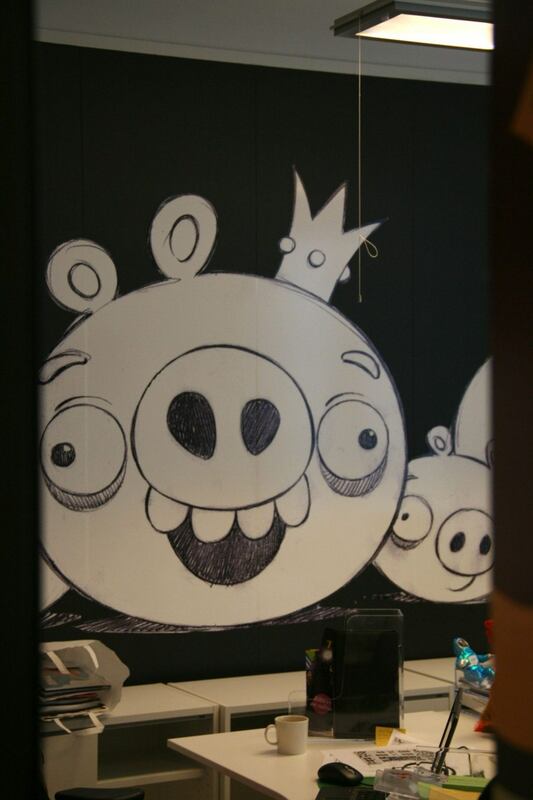 I had a very rare opportunity to visit Rovio Entertainment Ltd. headquarters in Finland today, and meet the mastermind behind Rovio’s Angry Birds game and hear the latest Angry Birds news. 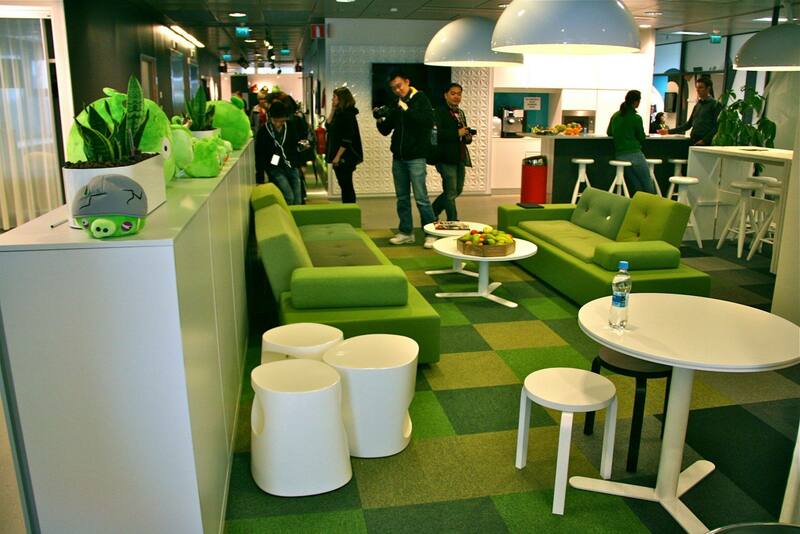 I attended the event in the Rovio headquarters together with other Angry Birds fans and bloggers. We had all just arrived to Helsinki from around the world, thanks to a fun campaign done by Finnish Airlines Finnair and Rovio promoting Finnair’s new route to Singapore and Angry Birds’ new Moon Festival update. Most of the attendees were from Asia, and I was honored to be the only one from the US. I may have represented US, but my Finnish national pride rose almost to the same levels today as when my homeland Finland won gold in the ice hockey world championships earlier this year. Except this time I was not following a Finnish success story to evolve in the front of my eyes on TV, this time I was in Finland, right in my old neighborhood, listening to the Angry Birds success story directly from the bird’s beak. 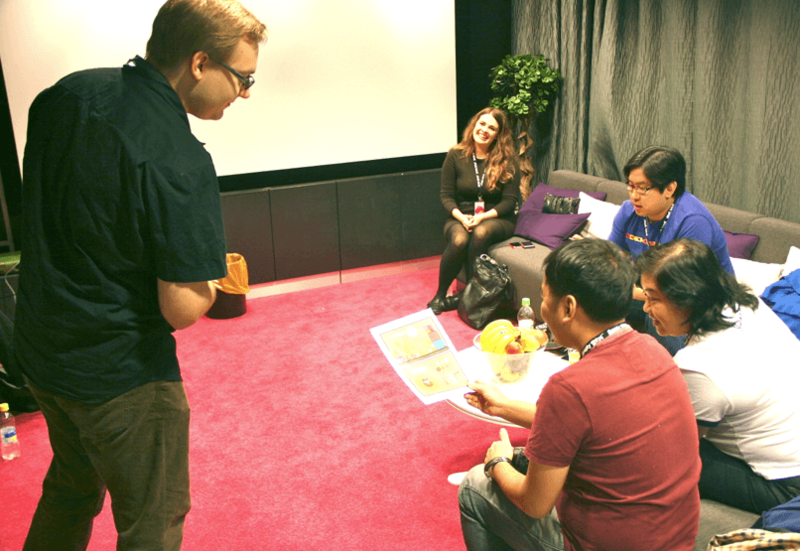 We had an opportunity to chat with Jaakko Iisalo, the Senior Game Designer and the designer behind Angry Birds and he told us about his original idea of Angry Birds and showed the original sketches of the bird characters and how he has always liked birds in his game designs. Today Iisalo has a team of around 15 people who are designing the actual game and its levels. The game that was designed for iPhone in 2009 and soon continued to other smartphone systems like Android, is already in multiple other platforms such as Playstation, and recently releases Google + version. The game will continue to be available on multiple new platforms and gaming consoles. Iisalo seemed to me a typical Finnish IT-guy with witty humor and humble attitude without having a need to impress anyone. His name might not be a household name, but he is soon becoming the Zuckerberg of Finland and is the perfect poster boy for Finnish innovation. Angry Birds was developed in a matter of a few months taking less than 7 months from the original idea to get approved by iTunes to hit iPhone, the actual time developing the game was only around four months according to Iisalo. He told us how the birds first didn’t have their beaks. He told us he liked creating games with animal characters, and how he liked the idea of creating a game with birds who all have so much more similar than let’s say all mammals, but who all can have such different personalities and character. He knew he had a hit game in the works when people couldn’t stop watching him to play the game when it was in the development stage, and he knew Angry Birds was going to be a hit when everyone from a young child to a grandpa enjoyed the simple entertainment of it. Speaking of entertainment… Jaakko Iisalo entertained us by demonstrating his bird calls and sounds that are also heard on the actual game. 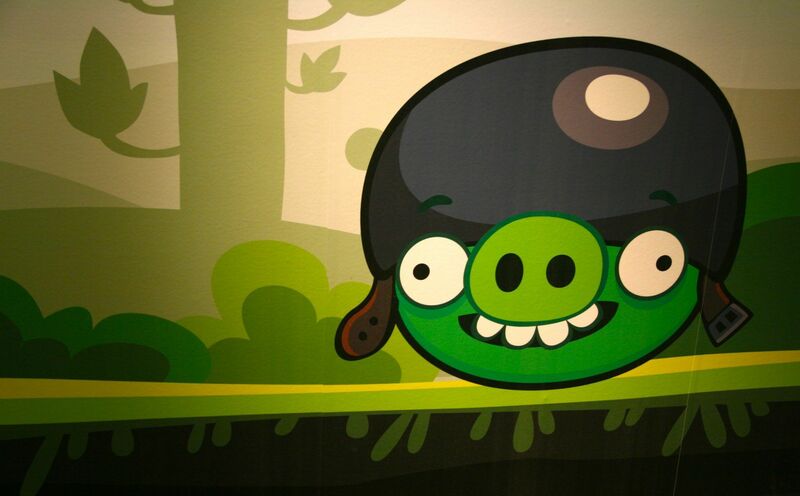 A big part and what makes Angry Birds Angry Birds is the fun music and sound effects in the game. I would have never guessed that the father of the birds also lent his voice for them. You could tell from the way Iisalo was talking about Angry Birds that it was his baby. The game was developed with love by a man who had passion to get it just right. “I really just wanted to develop a game I enjoyed playing myself” said Iisalo. 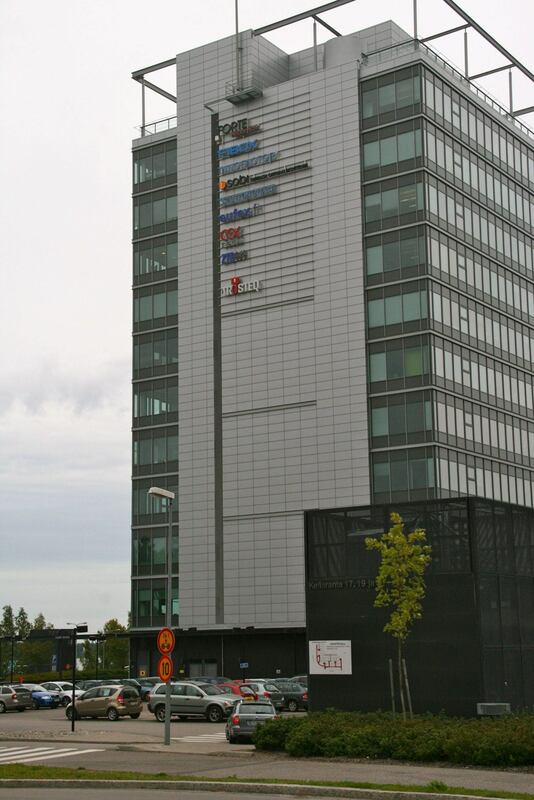 Rovio’s headquarters are located close to Finland’s capital Helsinki, in Espoo, and in very close proximity of the Aalto University School of Science and Technology and also close to Nokia’s headquarters. 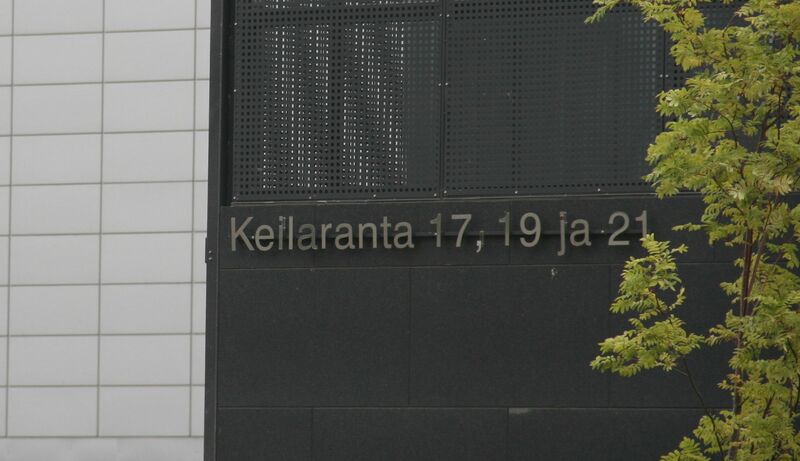 I felt very home – I studied engineering close by – but at the same time impressed how the campus of the University had hugely expanded to include business incubators and a technology park and surrounded by blooming new businesses like Rovio. 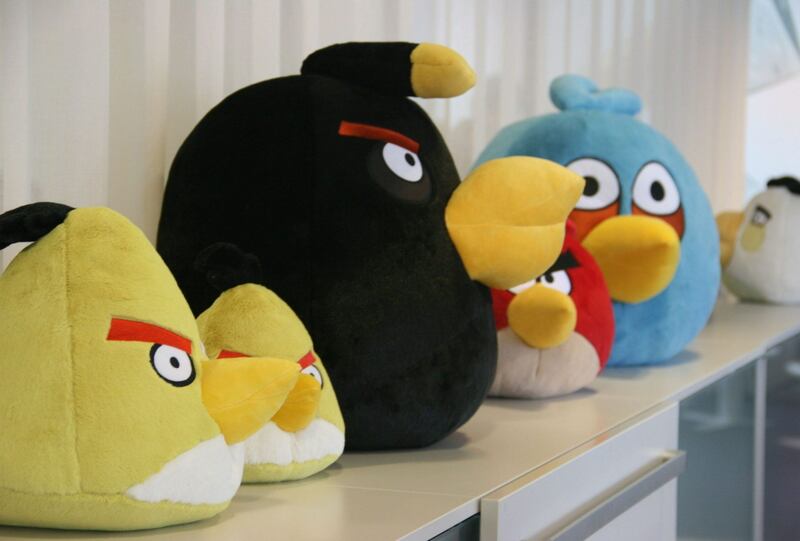 There were no sign of Angry Birds on the outside of the Rovio headquarters building, and but since you walked through the building doors, the Angry Birds plush toys welcomed you to the lobby but it still could have been just like an other office building. 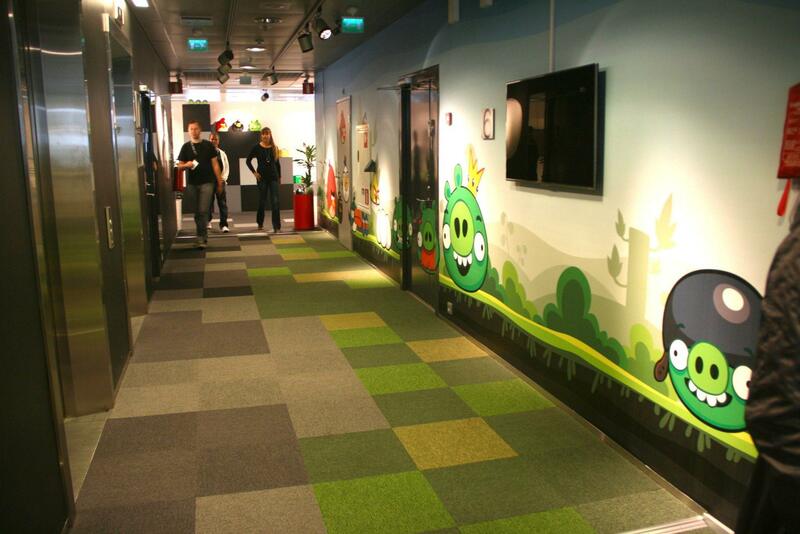 Until we hit the Rovio floor and walked outside of the elevator to the colorful office space decorated in simple Scandinavian design slash Angry Birds galore. 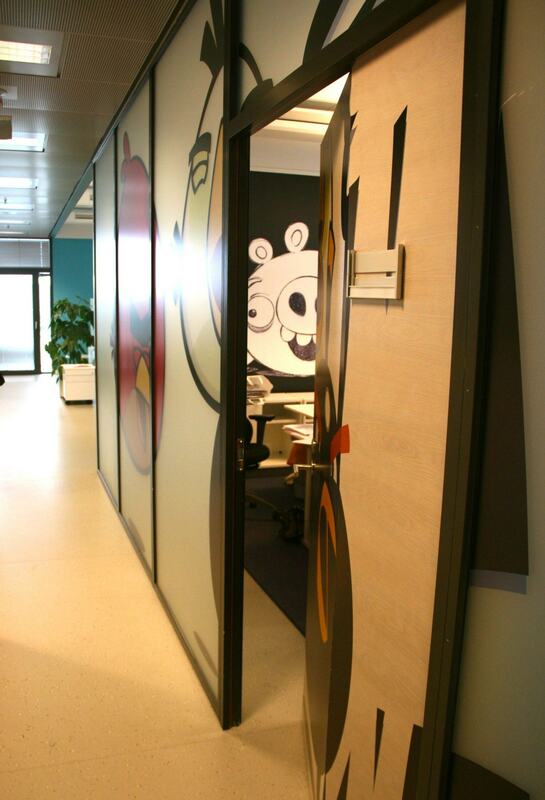 Most of the office was painted in solid white or black and decorated with simple Scandinavian designer furniture making a perfect canvas for the multiple Angry Birds paintings and murals. There was a employee lounge with bright green floors and with comfy couches and an inviting espresso machine in the corner. 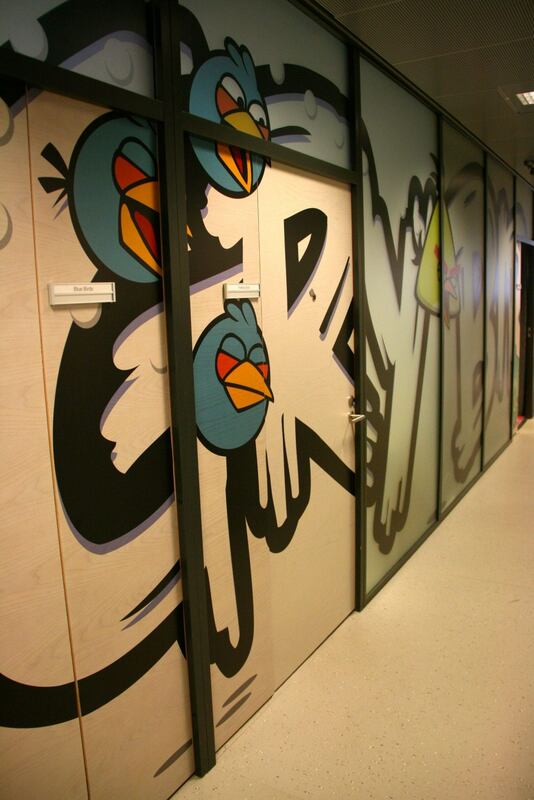 The meeting rooms were named by the birds and the plush Angry Bird toys were seen all around the office. I wonder if it was mandatory to have a flying bird sitting on your desk and if the employees tend to throw each others with the plush birds when attention was required. Disclosure: I received a free flight to Finland from Finnair. My opinions are my own as always, and I was not asked to write this post. 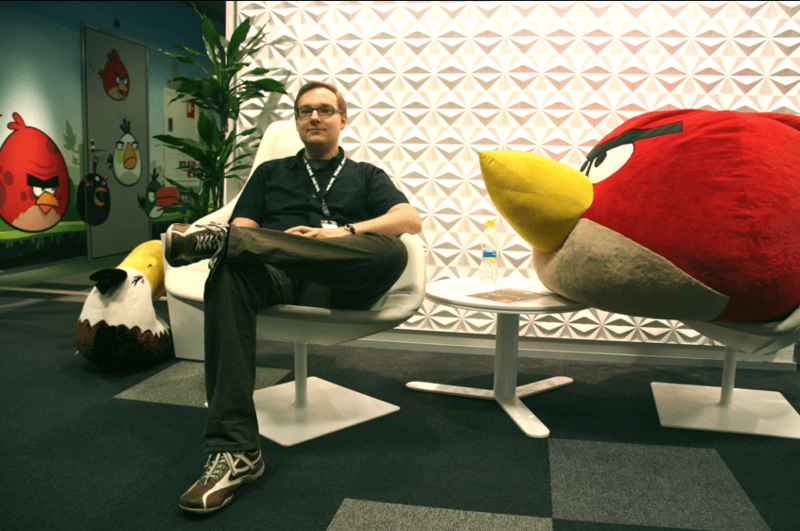 Really Cool and Awesome NEST of Angry birds :) Nice Office :) Thanks for the fotoz. Dreams really do come true, Katja. And you’re the person to show us that with hard work, even the best dreams can! Congrats on the trip. Your post gave me a bird’s eye view (sorry, I had to do it) of the atmosphere behind Angry Birds. Jasper wants to live there! Incredible! I’m so glad you won the trip and got to represent both Finland and the US. Ridiculously cool. Can’t wait to show this to my son. The office is SO fun. So glad you are having this fabulous opportunity. How exciting and fascinating! Sounds like you had a grand time. OMG YOU WON THE TRIP!!! How did I miss this???? Congrats and SO SO cool! That is spectacular! So glad you were able to go…thanks for sharing the inside look.